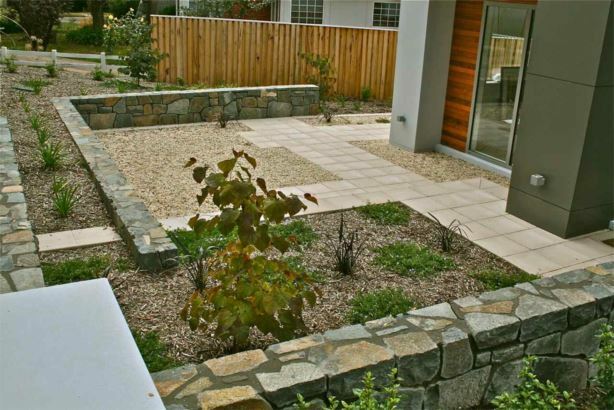 This structured garden endeavours to compliment the new contemporary home. 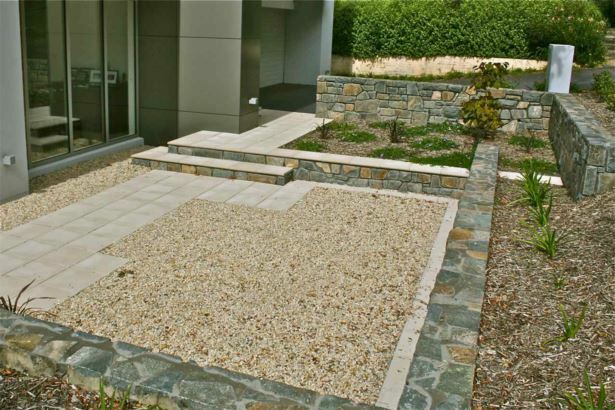 Informal stone seating walls enclose a planted front courtyard, and paths wind through gravel beds & plantings. 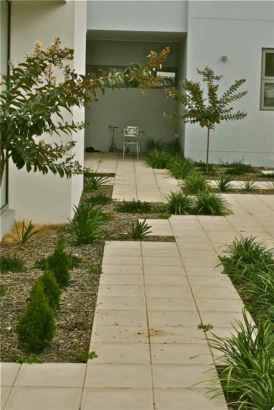 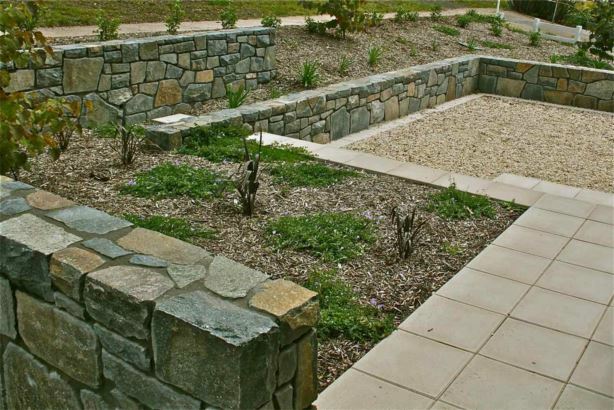 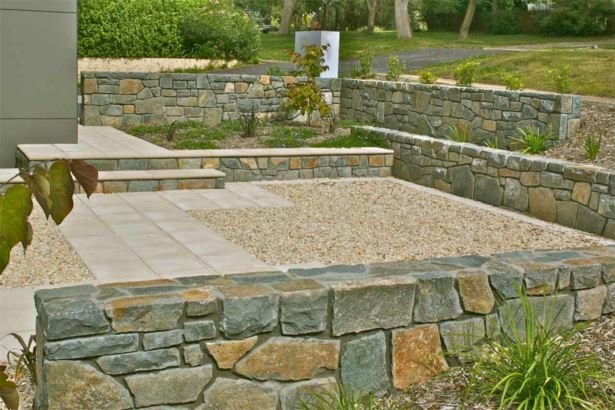 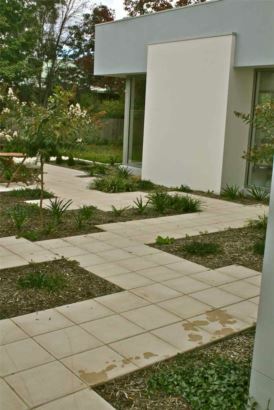 The Murrumbateman blue rock walls by Grant Blacker stonemasonry, and ‘Bink’ off-white pavers add structure to this ‘Contemporary Landscaping’ constructed garden.